The #MapLesotho project has, over the last 3 years, produced 15 million points of geo data (creating a map) for Lesotho, in OpenStreetMap. 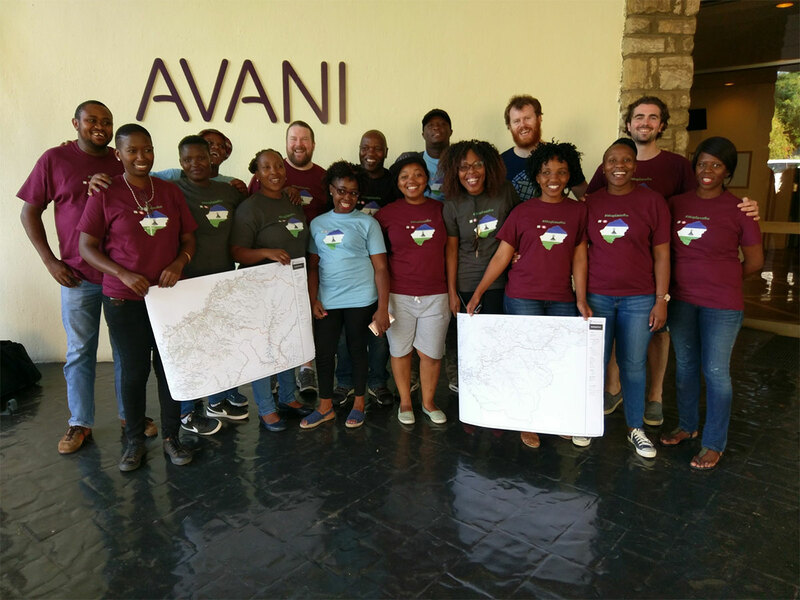 Each February a team of trainers from Ireland provided as part of an agreement between Fingal County Council and the Lesotho Ministry for Local Government visit and assist a small local group of mainly Planners to get the skills needed to scale the project up. 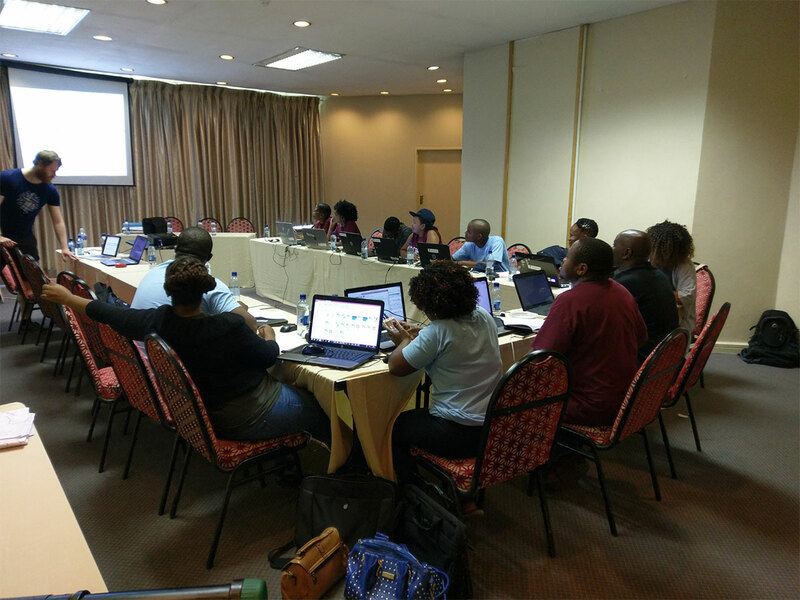 For 2017, the 2 weeks spent in Lesotho, the project is transitioning from data collection to data use, and performing a level of Quality Assurance on the existing data. A group of 14 Assistant Physical Planners will are based at the Avani for the period while at the same time some will be going out to villages to do surveys, holding several regional workshops as well as workshops with land surveyors and a visit to the University to review the previous 12 months progress with the students of the Geography and Planning departments there. We started with a welcoming for a group of 14 Assistant Physical Planners and outlined the plan to expand on the previous years of training but this time around focusing more on development of local area plans and sustainable development. There were several presentations with one in particular given by Mark on local area plans for Celbridge generating a great discussion on the differences in the planning setup between Lesotho and Ireland. Tuesday saw Colin & Mark setting up the server and the trainees starting to use the data to do large scale spatial analysis using QGIS software. 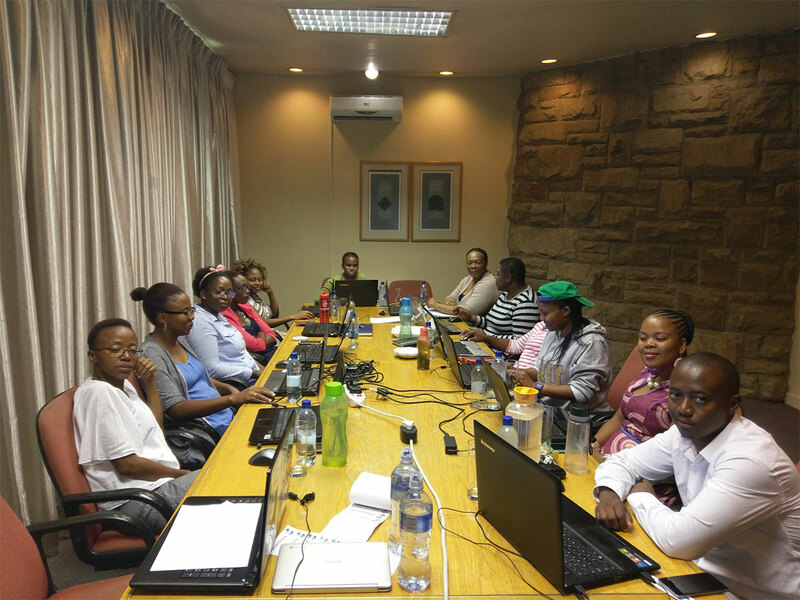 There was also a workshop for planners from Maseru City, Maseru District, Mafeteng, Berea & Thaba Tseka. The purpose was to give an overview of several tools, how they are used and how they can benefit planning and development in Lesotho. 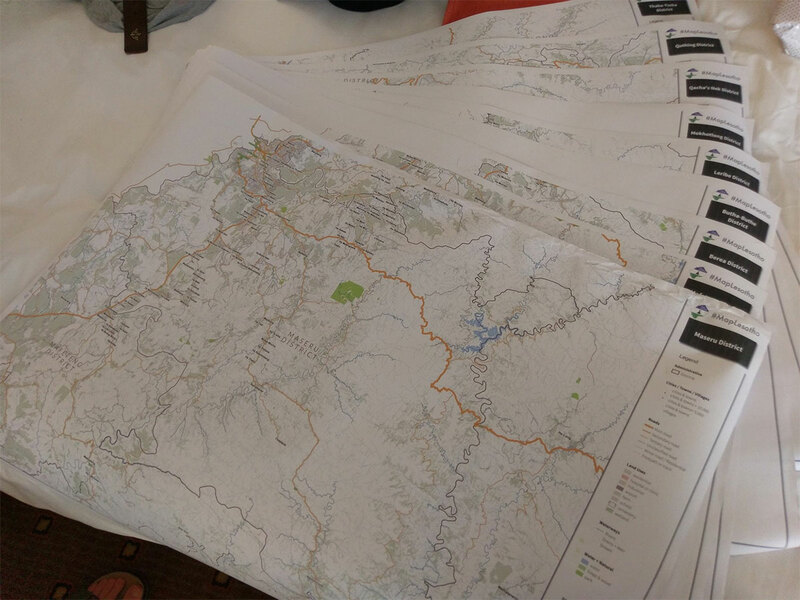 We also brought a lot of large printed maps which were based on the mapping data collected over the last 3 years. There was a lot of discussion again, on the accuracy of much of the data. While the maps were very useful, they also showed that a lot of errors needed to be corrected. As a result we began a series of sprints to correct a lot of obvious errors, e.g. roads not connected at junctions, untagged features etc. It was decided that this would become a daily activity for the first 30 mins each day to allow the trainees to gain experience on the different types of data errors and the fixes required to resolve them. 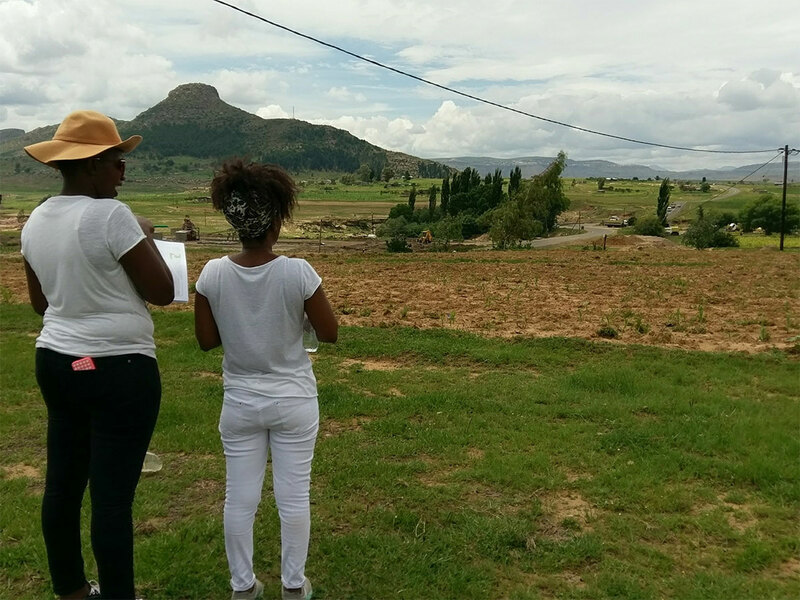 The second group also went out to Motsekuoa to perform a field survey using Field Papers tools. 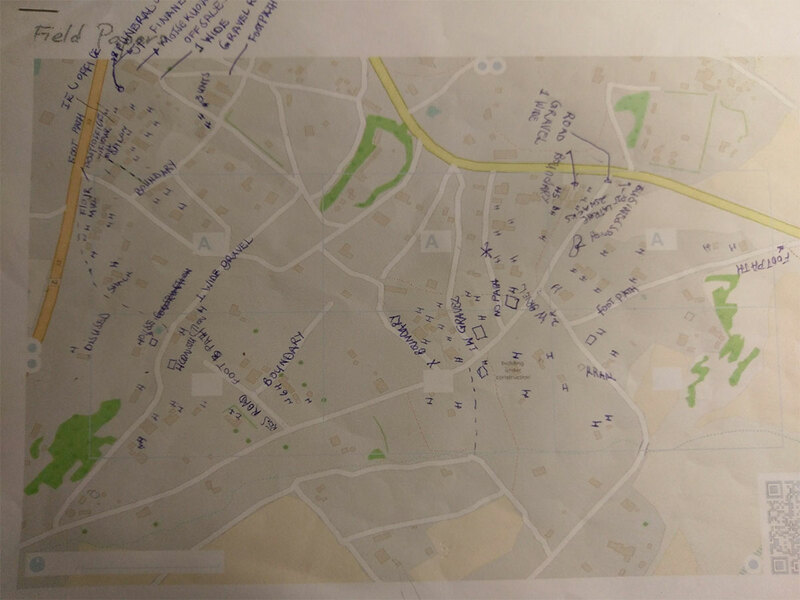 There were 2 groups that divided the village area between them and walked around with paper maps, making notations of building types, road surface information, shop locations, names of businesses and services etc. 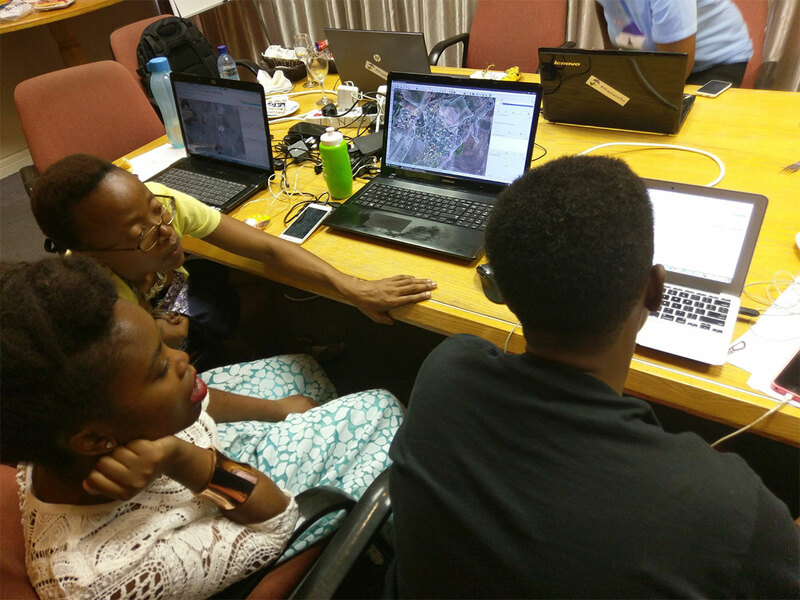 The folks working with Colin moved on to defining a study area and preparing landuse maps for the initial investigation of Motsekuoa. 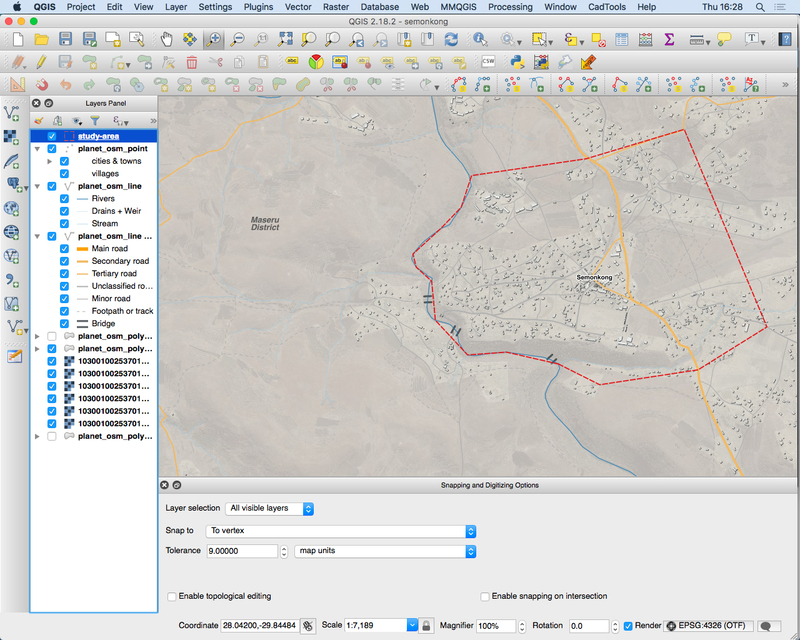 This will allow for more detailed settlement planning during later workshops. 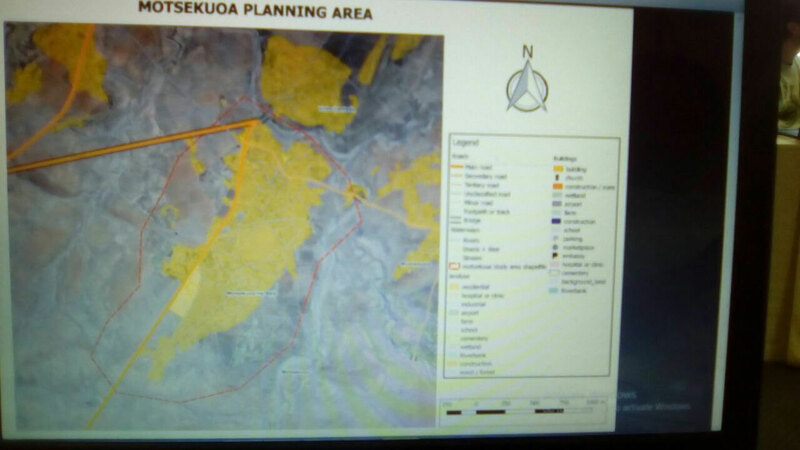 The second group, who had surveyed Motsekuoa on Day 3, then set about updating the data in the map. This proved to be an extremely valuable exercise as we were able to edit previously mapped features to more accurately reflect what is on the ground. This means buildings previously mapped were now are refined to say they are houses, shops etc. The main group completed an exam of the previous days work. All participants passed with flying colours. After the exam, the group broke into smaller teams, with some refining skills in QGIS, some mapping and others preparing for next week when Hazel & Harry will join from Fingal to assist with creating detailed settlement plans. The second group moved on to data correction tasks using open source tools like KeepRight & OSMose. They cleared a large volume or errors in a very short period of time. It’s been a great first week, working together with a great group of people and there is still another full week to go.